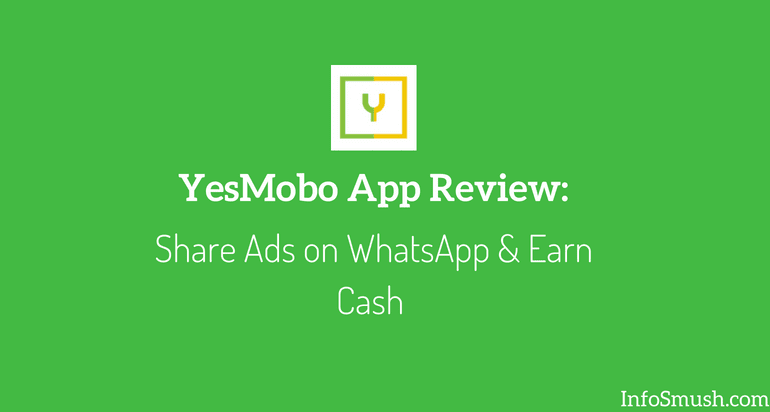 YesMobo is an Android app which lets you earn money by sharing ads on Whatsapp. It is actually following the footsteps of Taskbucks. When Taskbucks was launched it used to pay users for sharing stories and ads on Facebook & Whatsapp. 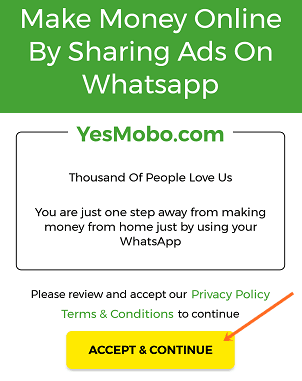 So, YesMobo is not bringing something entirely new, but it is the only app that will pay you for sharing ads. 1. Download the YesMobo app from Google Play Store. 2. 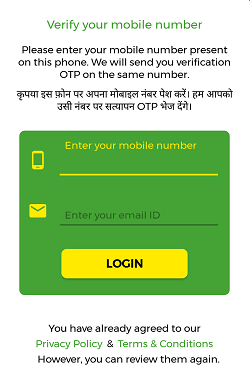 Open the app Accept the terms and Conditions by tapping the “Accept & Continue” button. 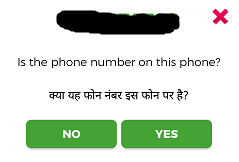 4. Review your number and hit “YES”. 5. 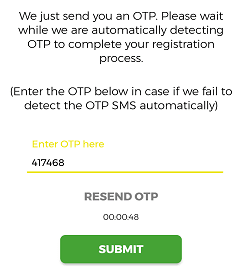 An OTP will be sent to your number, enter the OTP if it’s not automatically detected and Submit. 6. 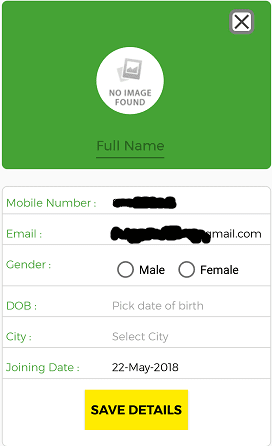 Fill the short form and Save Details. 7. You have successfully created your account. 1. Go to the All Ads section and select the ads that you want to share. 2. 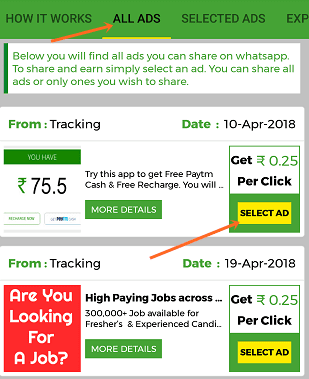 Go to the Selected Ads tab and Share the ads with your WhatsApp contacts. For the ad shown below, you will earn Rs.0.25 per click. Can’t say anything yet. Although it looks legitimate, there aren’t enough negative or positive reviews to prove whether it’s legit or a scam. 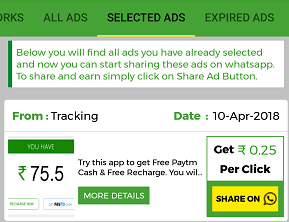 And I myself haven’t been able to earn much as there are not many ads available on the app. I’ll update this review next month according to whether I get paid or not. YesMobo is a legit app. Also, there is an increase in the number of ads available. But the increase isn't significant. Even now there are only 5-6 ads that you can share. So YesMobo recently introduced its referral program with which you can earn Rs. 1 for every two friends that sign up with your referral link. There aren’t many advertisers on the app. In the future, they might get more advertisers/ads & offer better pay per click. But, currently, the app is in its infant stage. YesMobo has potential but currently, I wouldn’t recommend it(unless you are a member of some giant group). Because most of the ads only pay Rs.0.25 per click and there aren’t many ads either. You’ll usually get 1-2 ads a day. But, don’t worry, here at Infosmush I review many money-making apps that you can earn some extra cash with. Browse the blog to find other apps & start making money with them.